It’s been a busy week here at Pretty Clever Headquarters! Exciting things are happening, Pretty Clever Films joined the LAMB, and life is good. 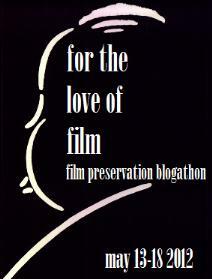 Well, there’s one problems, the perennial problem – so many movies, so little time! Though as far as problems go, that’s a great one to have. Never fear, despite my overfull TIVO, Pretty Clever Film Gal has taken the time to round of the best of the interwebs just for you. Happy reading, happy viewing, and let’s get to it!